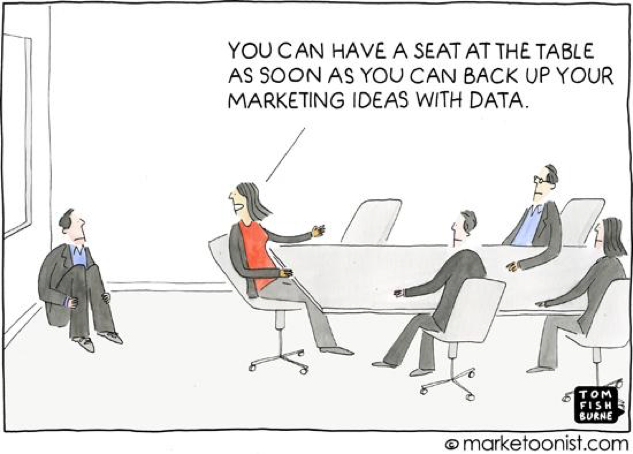 Sometimes, data is a scary thing for marketers. We pride ourselves on our creative, out-of-the-box thinking. We’re excellent at client-agency relationship building. We can build a responsive website like nobody’s business. However, that’s where many digital marketers get it wrong. Some just focus on the next deadline, the next tweet, and the next campaign but that mentality is setting a campaign up for failure. As smart and strategic digital marketers, we must immerse ourselves in analytics and performance metrics daily. If we don’t, we’ll discover our strategy is unsuccessful WAY too late, opportunities will be missed and leads will slip through our fingertips. Everyone is different and as marketers, we understand that all too well. 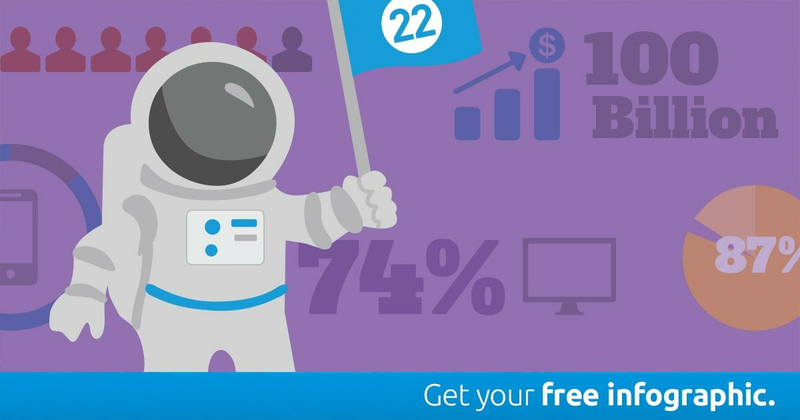 You can’t have one ‘catch-all’ strategy when it comes to reaching your target audience – aka. Just rely solely on search engines to send traffic to your website or focus all of your energy on writing witty branded tweets. You need to make sure that you’re developing and deploying content across various (and applicable) owned channels to drive users to our website to generate leads and thought leadership. The Google Analytics Acquisition Overview does an excellent job of easily showing whether or not your traffic acquisition strategy needs to be tweaked. 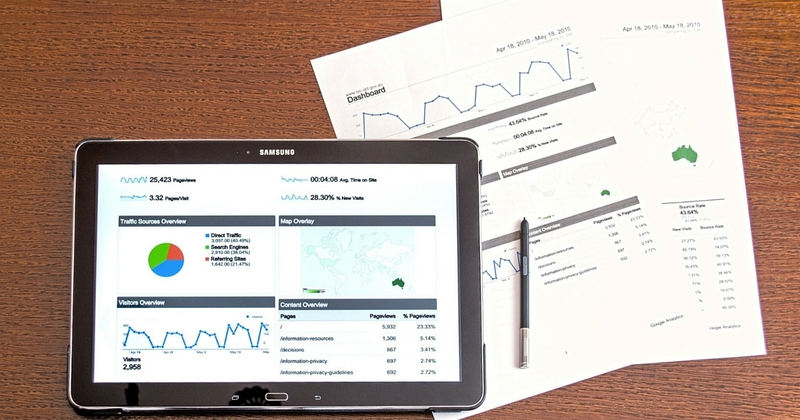 Ideally, traffic source percentages should be equally distributed between direct, referral, organic search, social and email. If these sources are not fairly equal, there may be a problem. If search traffic is higher than 40% of the total website traffic, you’re relying too heavily on search engines. This is a high risk strategy as the Google algorithm changes frequently and if you’re penalized, your site will take a major hit. If direct traffic is a very small portion of site acquisition, there may be branding issues. If referring traffic is too low, there may be link building and content issues. I cannot say this enough – Your content strategy MUST be flexible and it must be based on performance analytics. Your strategy absolutely, positively cannot be based on your opinion. You may think that the content you’re developing is great – you’ve put in hours of research, you’ve used an appropriate hashtag with a lot of conversation around it, and you’ve nailed brand tone. However, if you look at your HubSpot social dashboard and see that nobody has engaged (clicked or interacted) with the type of content you’re developing and publishing, your strategy needs to change and it needs to change fast. By reviewing performance metrics on a daily basis, you’ll be able to quickly identify what resonates with your audience and what doesn’t. You may find that your audience engages more with promotional content than editorial. Or you may discover that your audience retweets more infographics than with text-based statistics. Find out what interests your audience and then publish more of that content to drive traffic to your website and generate leads. SEO is an essential part of digital marketing and content development for the modern marketer. You may have the best product or service on the market but if a prospective customer has never heard of you and can’t find you via search engines, it doesn’t matter. This is precisely why keyword monitoring is crucial. The HubSpot Keyword dashboard sheds light on how you’re currently ranking for the list of keywords you’re currently tracking. In real-time, you’ll be able to see any increases or decreases along with ranking opportunities. If you find that you’ve dropped a few ranks for an important keyword, you can develop blog content around that keyword to increase the ranking. Note: This tactic to increase ranking is something you’ll need to be strategic about. You can’t just put out a 100-word blog post that doesn’t provide value – Google is smarter than that.